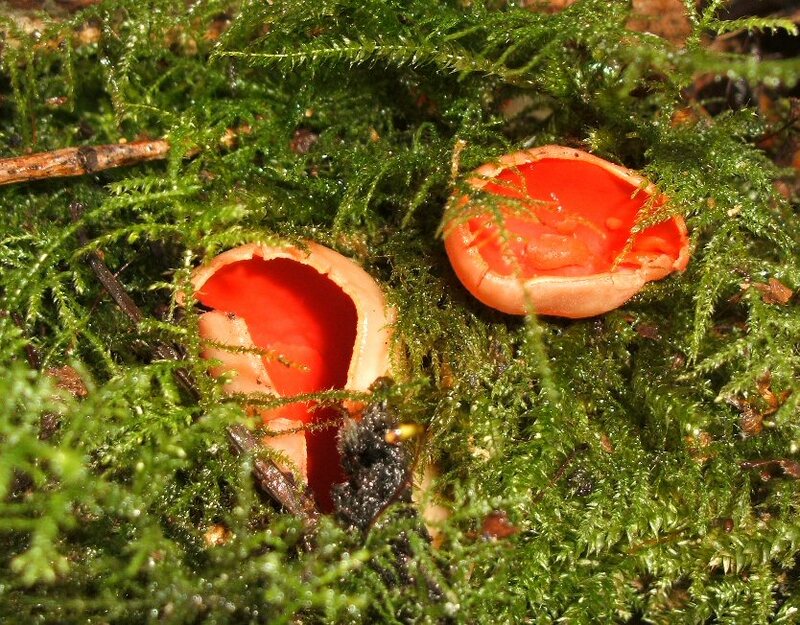 Scarlet Elf Cap Fungus ( Sarcoscypha austriaca) was found growing on fallen wood in the park. This is a quite uncommon fungus that actually occurs in several locations in our reserve. 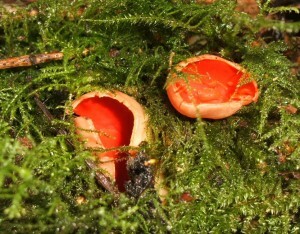 The bright orange fruiting bodies can be seen during the winter months. This elongated spider spotted in vegetation by the river not far from the Lady Bridge is Tetragnatha montana. These are also known as Stretch Spiders. They do spin orb webs and are quite common throughout both Britain and Europe. Visit our Animal and Plant pages to see other wildlife that can be seen in Dibbinsdale.